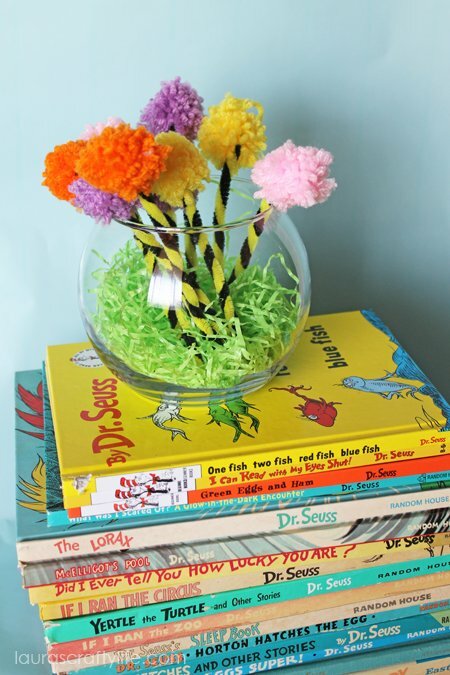 Did you know Dr. Seuss’ birthday is on March 2? We are big lovers of Dr. Seuss at our house. I used to read the books to my pregnant tummy with both kids. We are lucky enough to have all my husband’s old Seuss books in our collection from when he was little. 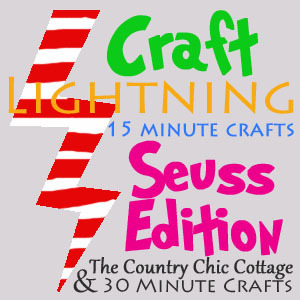 Once again, I am teaming up with a whole lot of other bloggers for Craft Lightning: Seuss Edition! So many fun crafts! Head over to The Country Chic Cottage and 30 Minute Crafts to see all the other projects. 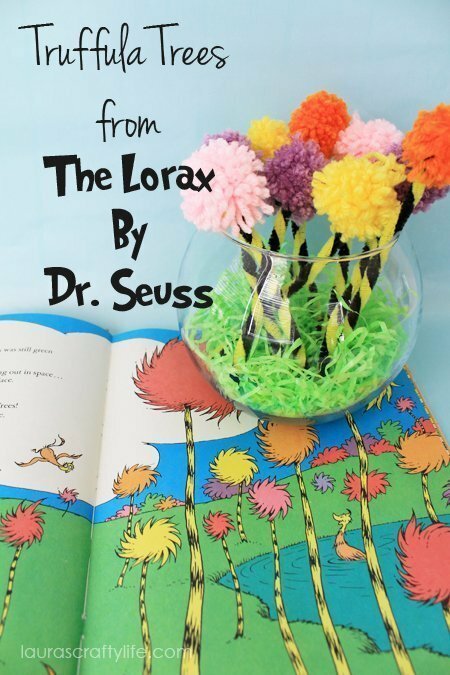 One of our favorite Dr. Seuss books is The Lorax. Being able to go see the movie was a huge bonus! Both the original movie and the newer version that came out in 2012 are great choices if you have kids. 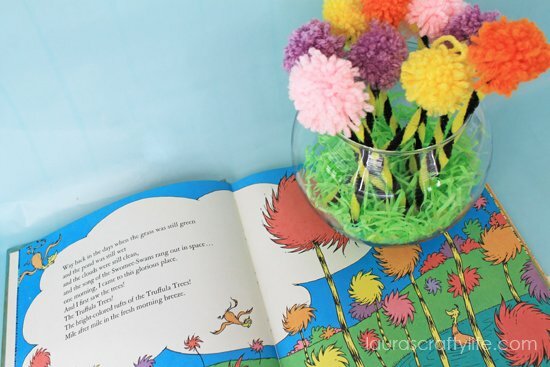 Today I am going to show you how to make your very own Truffula Tree forest! This is a simple craft. If you have older kids they should be able to help with this one! 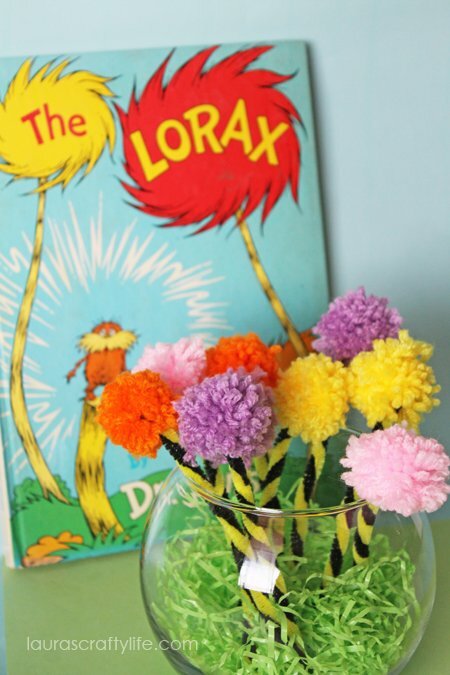 Start by making your Truffula Tree trunks. 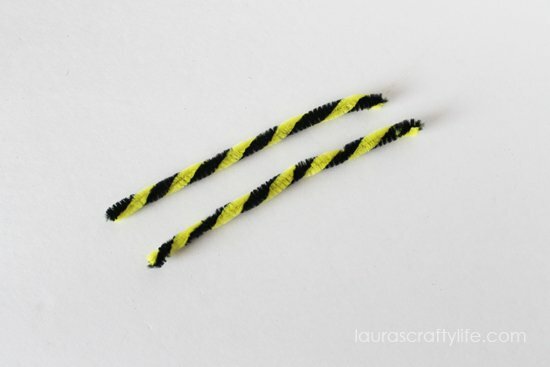 Twist one black and one yellow pipe cleaner together. 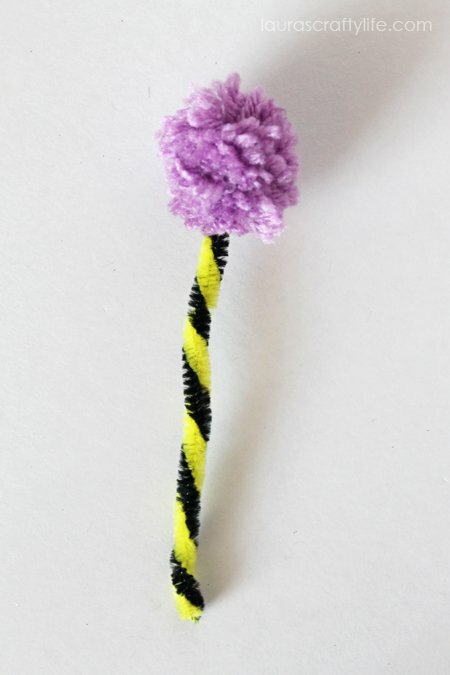 We are making small-ish trees, so cut your twisted pipe cleaner in half. Now we will make the tree tops by creating pom poms using a fork. 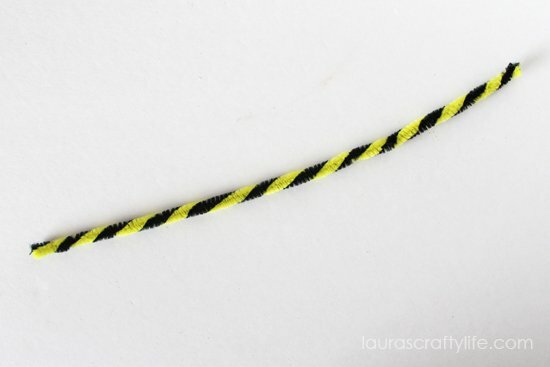 Start by cutting a piece of yarn about 6 inches long. Loop it through the center fork tine with the ends hanging down. 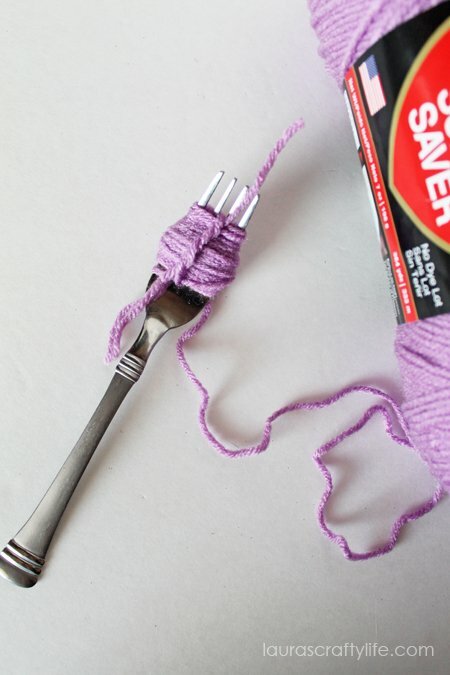 Now you will begin looping your yarn around the outside of the fork. You want the loops to be tight as you go. 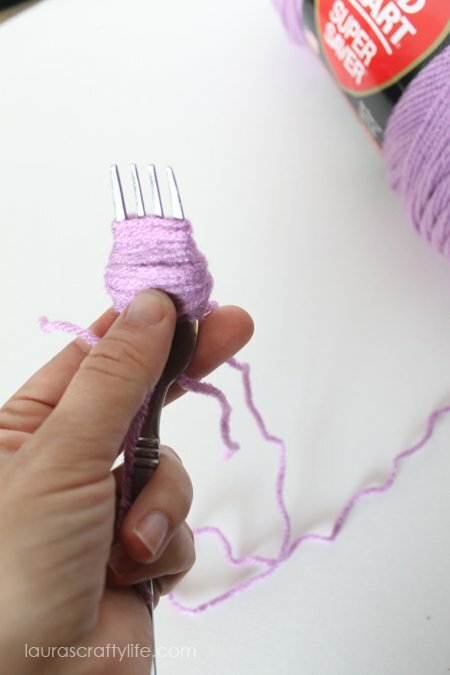 I suggest wrapping the yarn around the fork 40 to 60 times to get a full, fluffy pom pom. 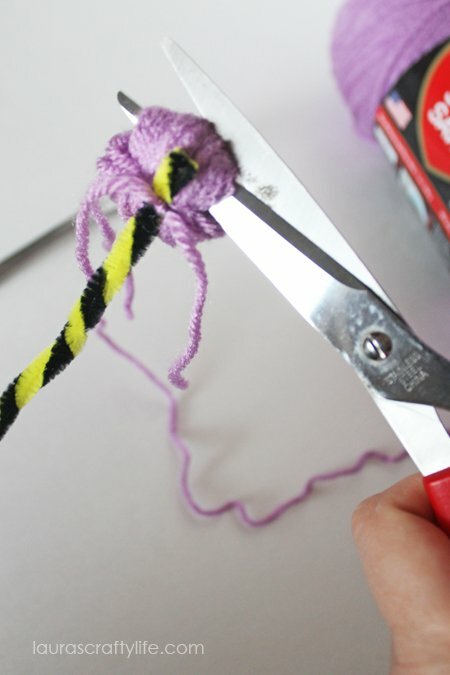 Use the original smaller piece of yarn you looped over in step two and bring the ends up and over your looped yarn and tie it. 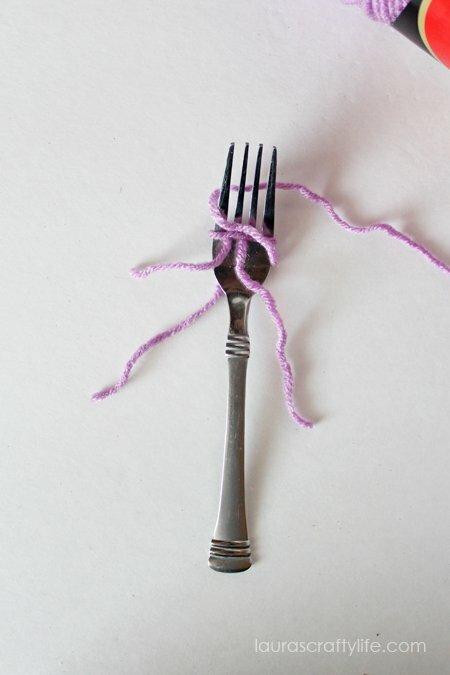 Carefully pull your yarn off of your fork. Place the pipe cleaner underneath the tie you made. Pull the string tight and tie a knot (or two). 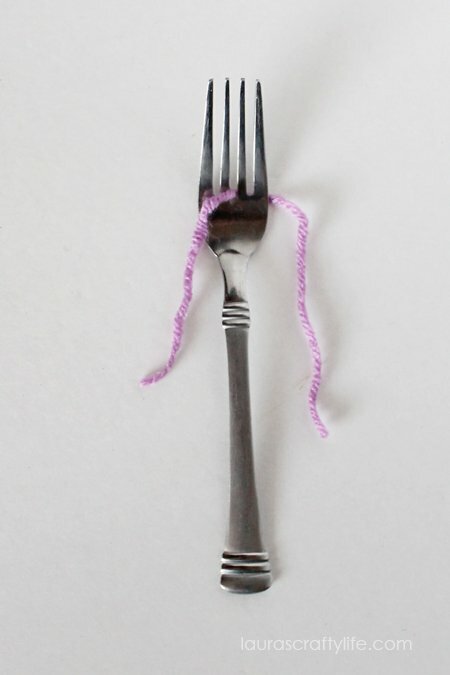 Note: I tried tying off the knot while the yarn was still on the fork, but I could never get it tight enough to keep the pom pom from falling apart. 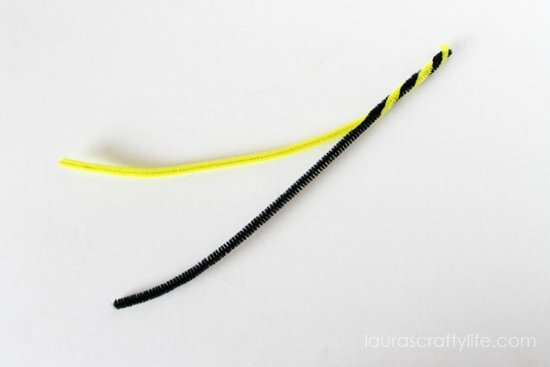 Tying one loop on the fork, taking it off and tightening the yarn before tying the final knot seemed to work best! 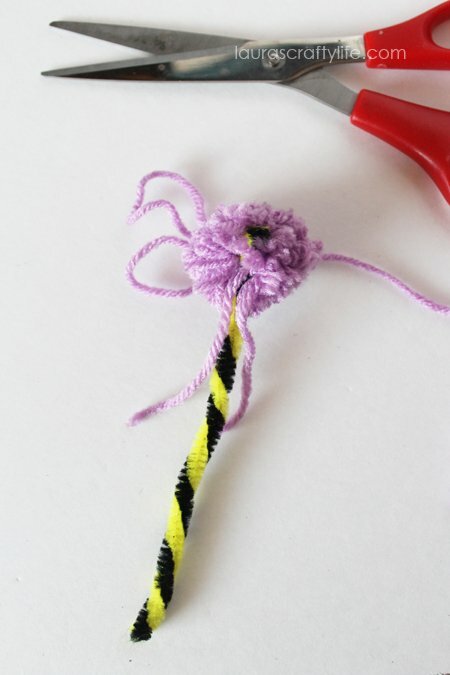 Clip the looped edges on both sides of your pom pom. 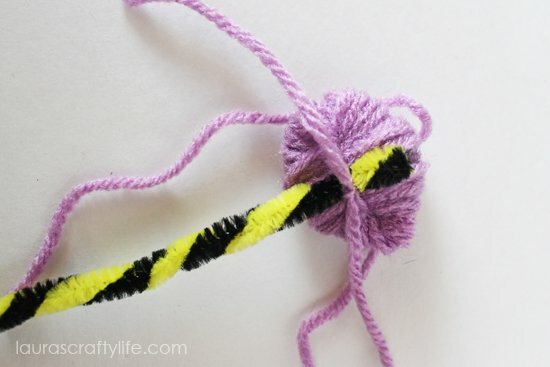 Be careful not to cut the yarn holding the pom pom together. 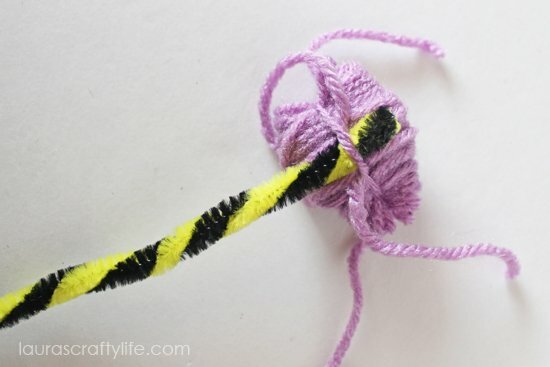 Clip off any loose ends of yarn. Normally at this stage of making pom poms you would trim the pom pom to make it look neat and symmetrical, but since we are imitating art from a Dr. Seuss book, I think the imperfections make these trees look that much greater. 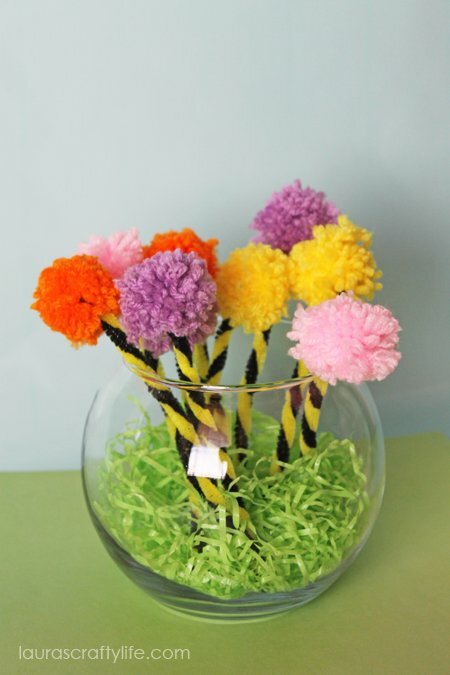 But, trim your pom pom however you like! 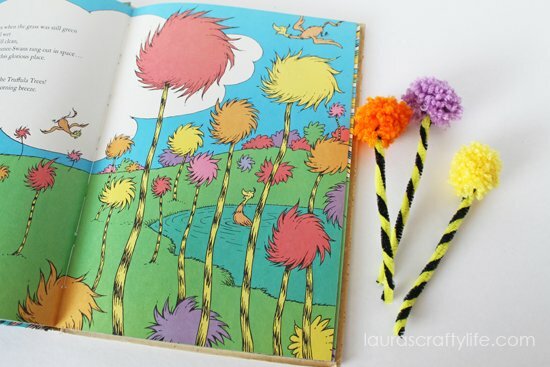 These Truffula trees are great! 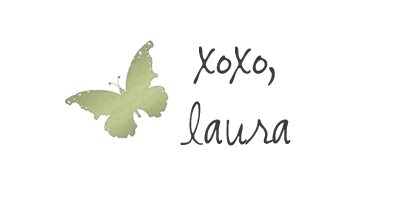 I love that you even added the striped tree trunk!